The perfect getaway, located in desirable Groom Creek, 6 miles from downtown Prescott,! This home backs to National Forrest and offers nearly 2300 sq feet featuring a large family room with vaulted ceilings & views of the pines, a master with wood burning fireplace, jetted tub & access to the backyard, a precious secondary bedroom, full secondary bath, laundry room, large storage area & a ‘resort size’ game-room large enough to become another bedroom plus game-room! The kitchen and dining are light and bright with ‘picture’ windows taking in the views. A fabulous deck to enjoy afternoons in a hammock listening to the trees sway, take off hiking into the Forrest or enjoy dinner with friends. Easy, level & paved access with an over-sized two car ‘clean as a whistle’ garage w/ attic storage! Approximate size: 15681.00 sq. ft. Please, send me more information on this property: MLS# 5911873 – $425,000 – 1096 E Elk Trail Trail, Prescott, AZ 86303. 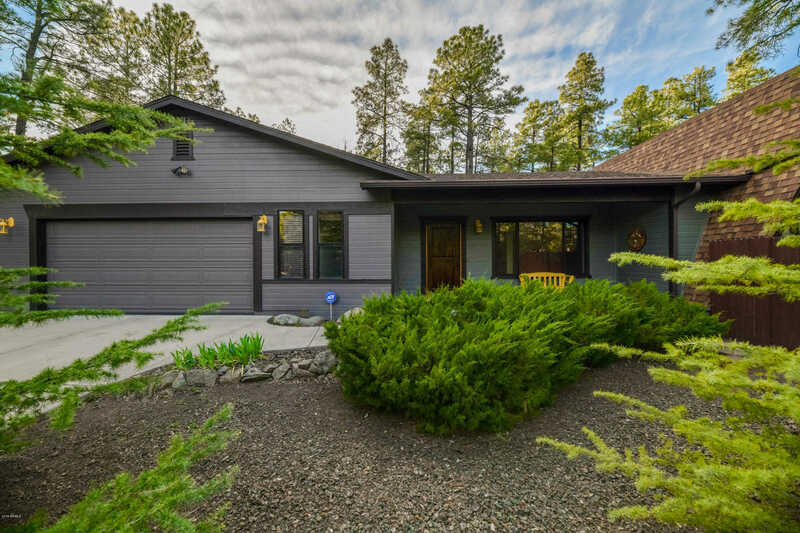 I would like to schedule a showing appointment for this property: MLS# 5911873 – $425,000 – 1096 E Elk Trail Trail, Prescott, AZ 86303.